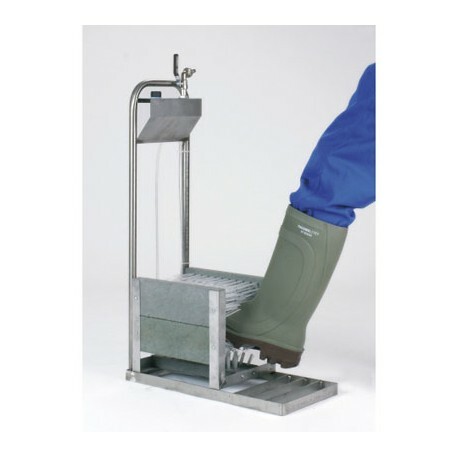 Stainless lsteel water boots washer. provided with 5 brushes and a metal gate scraper. 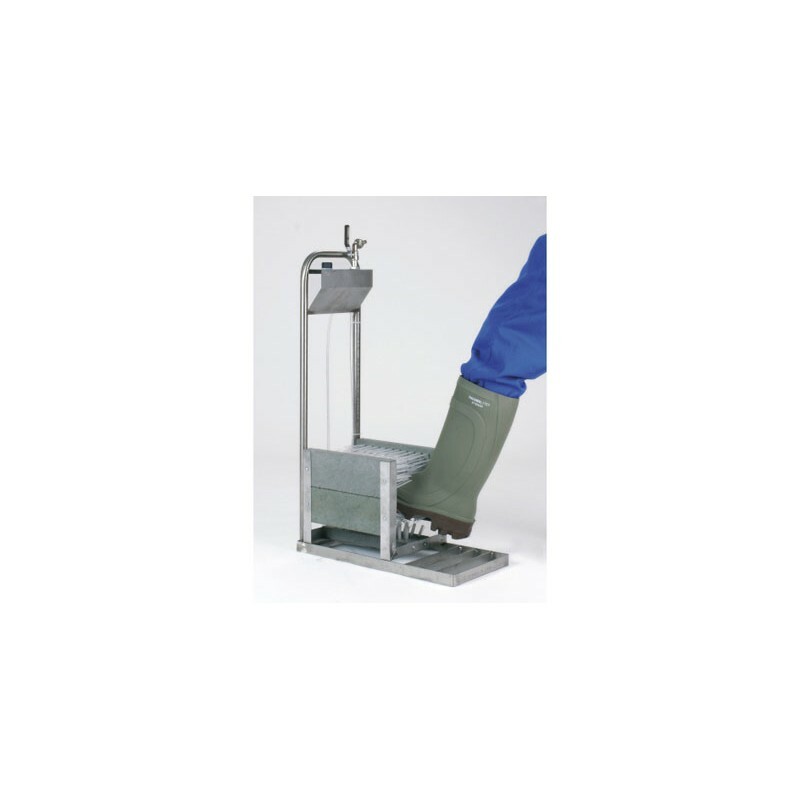 A system of mixing disinfectants or cleaning products.